Olympique Lyon players are to enjoy the benefit of a day’s extra rest ahead of next week’s Champions League rubber with Barcelona. This is because the French Football Federation (FFF) has brought forward their Ligue One clash with Guingamp to Friday night. 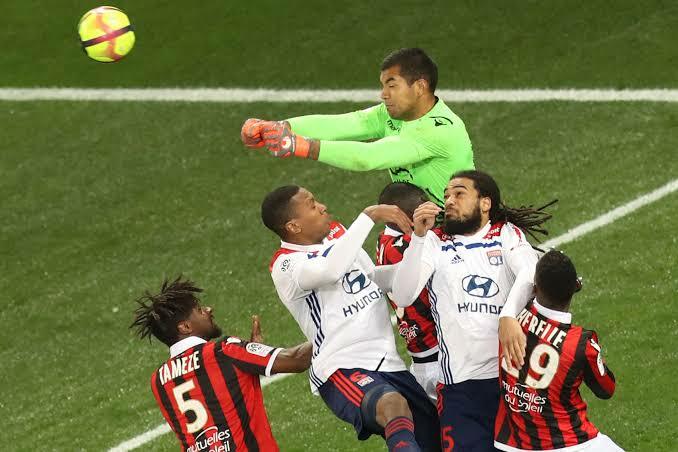 Bruno Genesio’s all whites currently occupy the third and final Champions League position available to French top flight sides but they are blighted by a Jekyll and Hyde DNA that saw them follow up a monumental 2-1 victory over leaders Paris Saint Germain with a 0-1 setback at Nice. Summer signing Moussa Dembele was unplayable against PSG but made a disappearing act at Nice. Genesio will demand consistency from Dembele and another precocious talent, Nabil Fekir, who often fails to punch his full weight. Basement club Guingamp’s main attacking threat will be Marcus Thuram, a son to Les Bleus World Cup winning defender Lillian Thuram. Focus on Saturday switches to the Stade Velodrome where Rudi Garcia’s troubled Olympique Marseille welcome relegation threatened Amiens. Ligue One’s only European champions have gathered a good head of steam courtesy of January recruit Mario Balotelli’s three goals and start as strong favourites to follow up last week’s victory 2-1 at Dijon. Another fascinating match up takes place in Monaco where Leonardo Jardim’s troubled eight-time former champions face Vahid Halilhovic’s Nantes. 2017 titlists Monaco are building momentum courtesy of an injection of an X-Factor from January arrivals Cesc Fabregas and Gelson Martins, who has been involved in five goals since being recruited on loan from Atletico Madrid. Sunday’s pick of the matches sees second placed Lille Metropole confront fourth placed Montpellier. Attention is to be centred on Lille’s Ivorian winger Nicolas Pepe and 19-year-old Portuguese centre forward Rafael Leao, whose six goals in seven games has seen the French media christen him ‘the Portuguese Mbappe’. Other absorbing duels include Girondin Bordeaux’s home tie with Toulouse, Reims versus Rennes in the champagne country and Paris Saint Germain’s trip to Saint Etienne. Two games – PSG v Montpellier and Bordeaux v Guingamp – have been scheduled for next Wednesday.